Here’s one for my friend Carla! All scanned from Picturpost magazine dated October 1976. Posted on August 19, 2008 at 2:32 pm in Hindi movies, Vintage Bollywood images, Yahoo! Shammi! | RSS feed You can skip to the end and leave a reply. 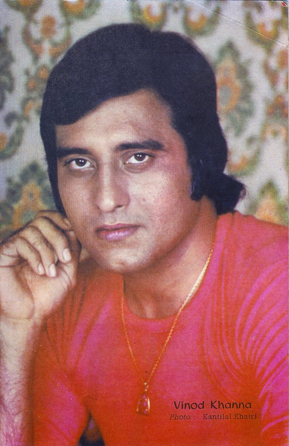 Vinod is so hot, was watching Amar Akbar Anthony with my sister, and drooling. Interesting! 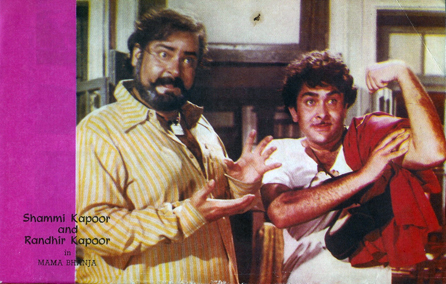 So, Randhir Kapoor acted in both “Chacha Bhatija” and “Mama Bhanja” in 1977… I wonder if he got tired of playing the role of a nephew to more established stars. I also wonder if anyone ever went to watch one movie thinking it was the other! Then again, how could you lose with either Dharmendra or Shammi Kapoor, right? Wow, Rekha is positively luminous in that picture. Thank you soooo much for posting! 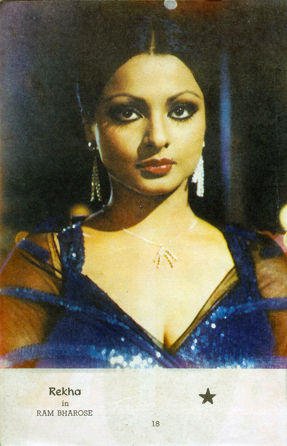 Yes, Rekha is beautiful in this photo. Well, pretty much in any photo! Vinoood!!! Excellent post, I love oldies’ pictures. I mostly have cool ones of Hema but there aren’t that many resources for magazine scans from back in the day and such..
Alok: noooooo! Shabana has bought into the Botox thing? Say it isn’t so!! Thanks for posting these! I looovvvee vintage anything, so vintage Bollywood is like a dream come true…I actually have some vintage Bollywood posters framed in my room. I just got a couple more magazines in the mail…I went on a vintage B’wood magazine spree recently. Ah, I am green with envy! Anything with my beloved Shashi? Can I join in the gossip sessions via e-mail? Oh, you guys. When you access the link, do click on ‘Click to View attachment’ in the article. 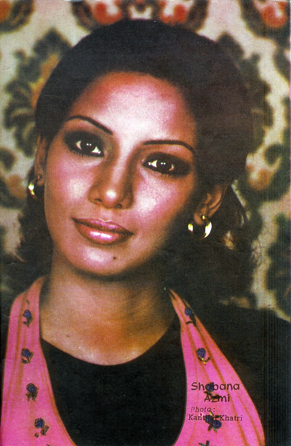 There are some recent and some vintage photographs of Shyama (Devand’s co-star in CID (she looks beautiful now), Asha Parekh, Mala Sinha, Nanda, Shammi (Aunty), Rajendranath and his wife, Nimmi, Begum Para (last seen in Sawariya), A.K.Hangal., Tun Tun Also their interviews. Oops, Shakila was Dev Anand’s co-star in CID. There is a picture of hers there too. Could have done this in one go instead of three, but am at work, which is slowing me down…. Thanks for the link blue lotus! Made interesting reading! only magazine with posters of films on the title cover and last page.